Are you in the market for car insurance? Even if you're not you should read this! (Cause maybe you should be). Are you in the market for car insurance? Even if you're not you should read this! (Cause maybe you should be. A new startup called Everquote is making waves by making car-insurance shopping easy. They provide a platform by which to compare car insurance quotes and even get a discount if you haven't had any recent tickets. You only have to enter your information once in a quick, easy-to-use online questionnaire and they will pull quotes from multiple providers. Speaking of car insurance, did you hear the great offer from Frank Kearney yesterday to get your car insurance policy reviewed for free, just to make sure you are properly covered in case of a serious accident? Watch this video to learn more! Not so much? You're not alone. Most people don't understand how the insurance process and the recovery process work. 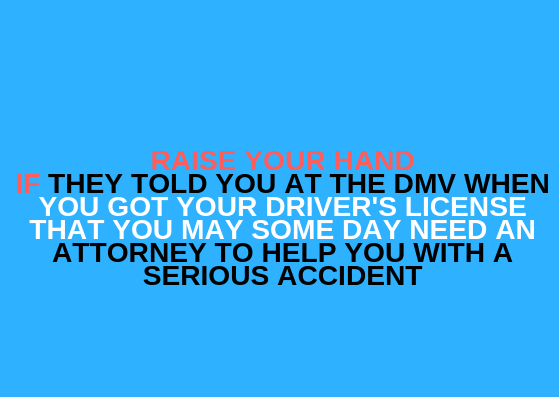 But don't worry - you have questions and we have answers, Start by ordering your complimentary copy of this comprehensive book on accidents in Washington DC, Maryland, and Virginia. Before you talk the the adjuster or sign any forms, read this!